"Honouring The Champions of Exhibition Industry"
The Exhibition Excellence Awards is an event for only exhibition and events professionals. Exhibition Excellence Awards is an initiative to recognize the unsung heroes of the Indian exhibition industry and to acknowledge their contribution. The Exhibition Excellence Awards have been supported by Ministry of Skill Development, NSIC, ASSOCHAM, PHDCCI, Indian Exhibition Industry Association, Indian Exhibition Services Association, Indian Industries Association, UFI, IEEE, Indian Convention Promotion Bureau, IESA, IIA, PIOCCI & ASME, in its previous editions. The current edition of Exhibition Excellence Awards at India Expo Mart is supported by the Ministry of MSME, Skill India (Ministry of Skill Development) & Incredible India (Ministry of Tourism). A supremely experienced jury has been formed from diverse backgrounds and KPMG has been roped in as Process Advisors & Evaluators for EEA. Award categories for Exhibition & Organisers, Service Providers, MICE Hotels and Convention Centres. 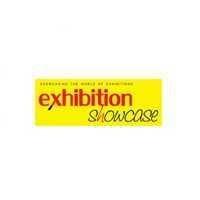 One of its kind platform for professionals associated with Exhibition and Conference Industry. Renowned firm KPMG has been appointed as the Process Advisors & Evaluators.